Declining admission rates don’t in themselves signal that admission is becoming more competitive. There are lots of misconceptions about the highly selective college admissions process floating out there in the universe. A core objective of this college admissions blog is to debunk those misconceptions. One such misconception goes like this: It gets harder and harder to get into elite colleges each year. Suggesting as much isn’t only untrue but it adds to the stress surrounding the process. 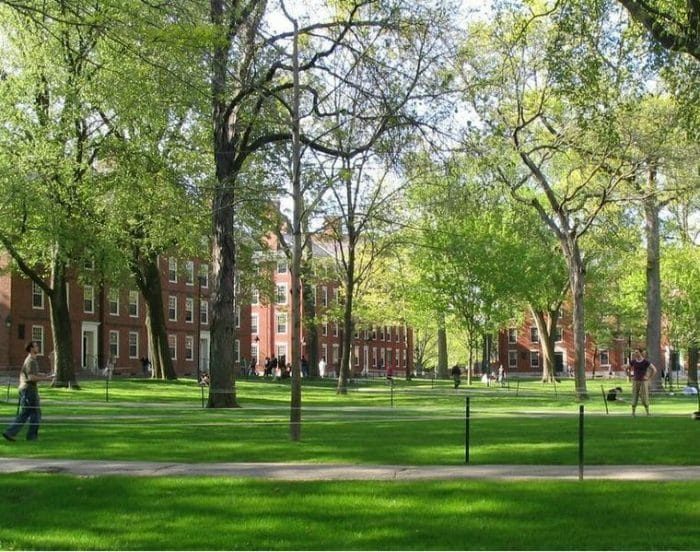 Is it harder to get into Harvard in 2019 than it was in 1866? For many, with obvious exception to groups of deserving people whose admission was excluded based on, say, their race, faith, or socioeconomic status, the answer is yes. But is it harder to get into Harvard in 2019 than it was in 2018 based on the school’s lower admission rate this year alone? No. At Ivy Coach, we want the process to be less stressful for students and parents alike and so we will stand atop our soapbox in college admissions to correct the record when a correction is needed. Some members of the peanut gallery suggest that private college consultants like us add to the anxiety surrounding the highly selective college admissions process. In fact, a college counselor named Brennan Barnard recently wrote in an editorial for Forbes, “There are undeniably private educational consultants who prey on the fear and anxiety that families can feel as they navigate admission to college. They market their services with names like Ivy Wise, Ivy Coach and Top Tier Admission that, regardless of how reputable their approach is, immediately hint at what should be valued or aspired to.” Barnard, from his perch at The Derryfield School in New Hampshire, proceeded to then offer us as well as two of our respected competitors unsolicited business advice in a longwinded diatribe against elitism in college admissions. We’re surprised Mr. Barnard had the time to write such an editorial in between mentoring so many low-income, underrepresented minority youth at…The Derryfield School, an independent college preparatory school. In New Hampshire. Because it seems when Mr. Barnard is not mentoring these students, he’s serving as the director of college counseling at US Performance Academy, an online high school for competitive athletes: bobsledders, synchronized swimmers, skiers, sailors, etc. You know. Sports that don’t reek of, well, elitism. Last we checked, the vast majority of young men and women in inner-city Baltimore are not bobsledding. But enough about bobsledding. Enough about Mr. Barnard lamenting “this perverse obsession with the most selective colleges in the nation” all as his very school prominently features photos of admits to Brown, Bowdoin, Syracuse, and Penn while not seemingly featuring on their very college counseling page photos of admits to Alfred, Drew, Ithaca, and Western New England University (and his Twitter feed features a kid in a Yale shirt). Bless his heart. You see, we have over a quarter century worth of evidence to suggest that we make the college admissions process less stressful for students and parents navigating its churning waters: our students and parents whose hands we have held, whose family fights we have averted. And when we hear or read a misconception about the admissions process perpetuated in the press or elsewhere, we’ll correct it and do so proudly on this blog for many folks who will never become our clients in a concerted effort to lessen the anxiety surrounding the process for all. And we’ll do so in the press — just as we did in the aforementioned CNN piece about declining admission rates. Does it serve our interest to suggest that admission rates at our nation’s most elite universities may be getting lower and lower but that doesn’t mean it’s getting harder and harder to get into these schools? No, it certainly doesn’t. If we were trying to “prey on the fear and anxiety” as Mr. Barnard suggests, why make that argument? Because we’ll tell it like it is even if it doesn’t serve our interest if it’s the truth and if it means it will make the college admissions process less stressful for all.